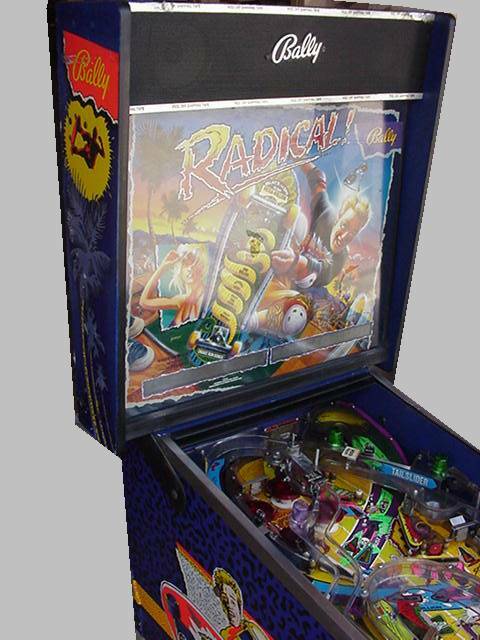 Williams 1990 Radical skateboard action. 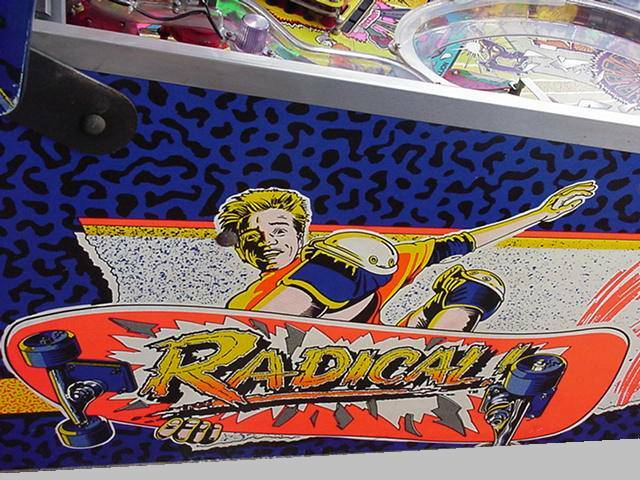 If you like fast ramp action, this is a great pinball for you. 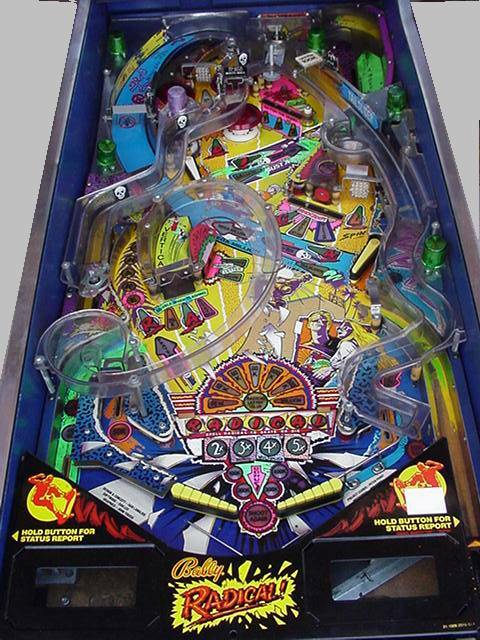 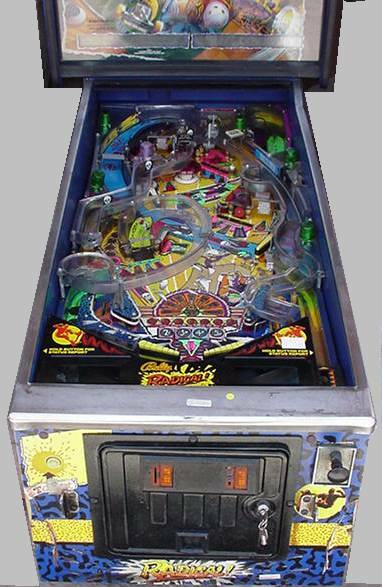 Very nice looking pinball!